Whitman. 1966. 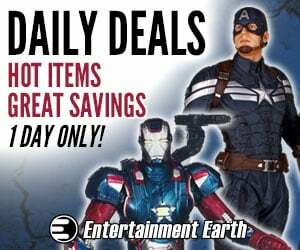 14″ x 18″ 150 pieces. 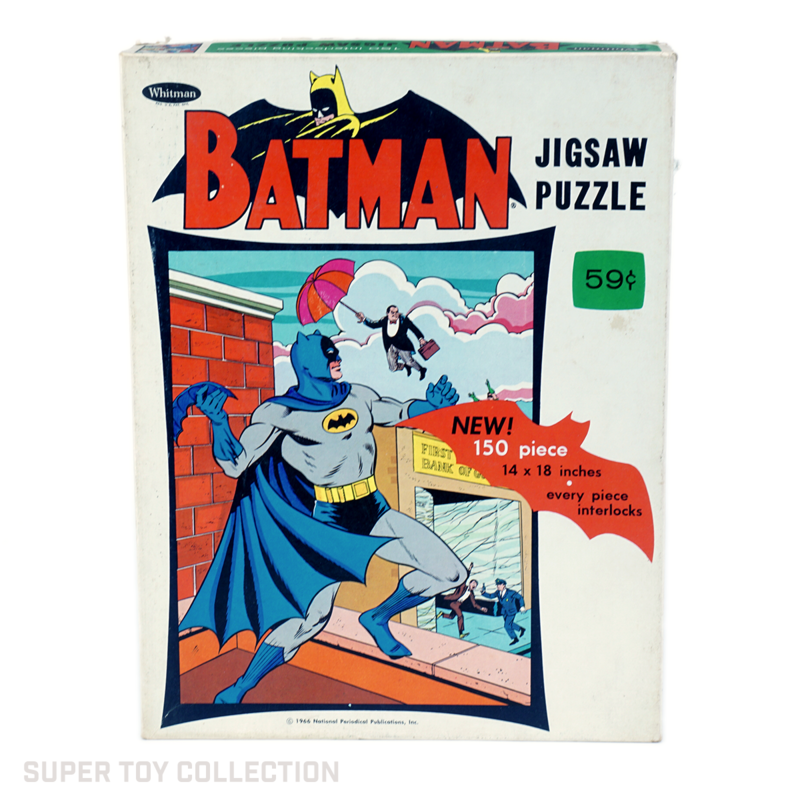 This puzzle is one of two boxed Batman puzzles produced by Whitman in 1966. Whitman also produced Batman frame tray puzzles in the same year along with puzzles featuring Superman and Aquaman. This puzzle features Batman about to throw a batarang at his arch-rival, the Penguin, who is using his umbrella to float away from the bank he just robbed.